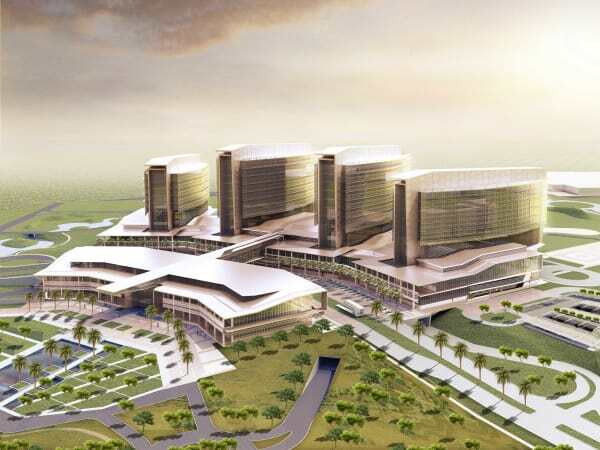 Abu Dhabi General Services company (Musanada), in cooperation with Abu Dhabi Health Services company (SEHA), has announced that work on the Sheikh Shakhbout Medical City project is progressing as planned. The company is following a specific and clear schedule to deliver this vital project in line with highest international standards and specifications in coordination with Abu Dhabi Health Services Company, our strategic partner, said Hamad Khalifa Al Murar, Musanada’s Acting CEO. “This forms part of Musanada and Seha’s efforts to realise the vision of President His Highness Sheikh Khalifa bin Zayed Al Nahyan, and implement the directions of His Highness Sheikh Mohamed bin Zayed Al Nahyan, Crown Prince of Abu Dhabi and Deputy Supreme Commander of the UAE Armed Forces, to provide high quality healthcare services to UAE nationals and residents within the context and the objectives of Abu Dhabi Plan and in line with best international health standards in order to satisfy the needs of individuals and the community at large,” he added. Highlighting the advanced completion percentage of the project work with respect to the facility towers and external clinics building, Al Murar indicated that 91 percent of the external works and landscapes and 91 percent of the utility buildings and electricity and air conditioning plants have now been completed. Electric power and air conditioning systems are being tested on an ongoing basis, while 59 percent of the medical equipment (78 percent of which supplied so far) have been tested and installed. Perceived as one of the most important development projects in the healthcare sector across the region, the Dh4 billion Sheikh Shakhbout Medical City project is strategically located in Al Mafraq area in Abu Dhabi, stretches over 300 thousand square metres and includes mostly covered parking for 1,660 cars.